Apollo 8’s original mission was to test the Lunar Module in combination with the Command and Service Module in low Earth orbit for the first time. However, production delays meant there would be no LM spacecraft ready in time for the December 1968 flight. 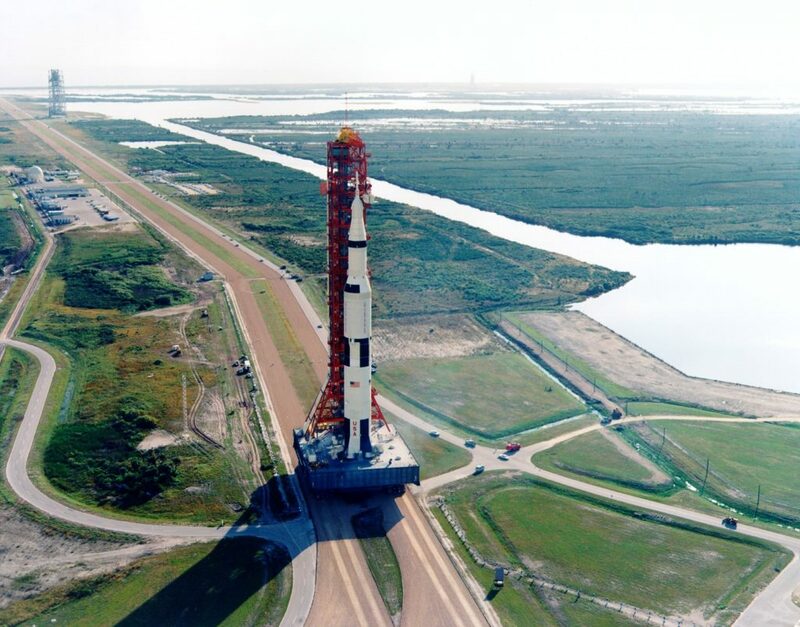 In August 1968, George Low, manager of the Apollo Spacecraft Program Office, proposed that they instead send the Apollo 8 Command and Service Module all the way to the moon and in the process juggle the D, E, and F mission objectives slightly. Those mission types are defined in the 20 September entry in the Q3 1967 Apollo Spacecraft Chronology. So we had a lot to do, because while everyone knew that people were going to go to the moon, all of a sudden, they were confronted with the deal: How do you get there? And this is another sign of NASA at that time. I sat in [Director of Flight Operations] Chris Kraft’s office with Bill Tindall and two or three other people, and in one afternoon, we outlined the basic parameters of that mission. I don’t know how long it would take them today, but I suspect it wouldn’t take more than six months to do that. Borman is a refreshingly no-nonsense, funny guy, a USAF pilot who you can tell still gets a kick out of referring to his Apollo 8 crewmates as ‘sailors’. You can see his whole talk here on C-SPAN. I actually ordered a VHS videotape of it from C-SPAN after I watched its first broadcast on Christmas Day 1998, mainly because of the segment I’ve excerpted below. Yesterday, after watching the Apollo 8 episode of “From the Earth to the Moon” once more, I recalled his fascinating and unexpectedly entertaining talk at NASM and further remembered that C-SPAN now has its entire video library online. I thought I’d see if I could find it, grab it, and therefore be able to toss the 570 feet of magnetic dinosaur that I still have on a shelf in my spare room. It’s difficult to grab videos from their site on your own, but the Video DownloadHelper Firefox add-on makes short work of it and videos on other sites. Regarding the intertial guidance system that Borman talks about in that clip: On Apollo, the Flight Director was connected to a three-axis gyroscope system – the Inertial Measurement Unit – and was therefore subject to gimbal lock, a condition which meant loss of attitude reference and a subsequent need to reorient the system through star sightings, which was a pain in the arse. This would occur if you managed to screw up and get your attitude into the red circle visible below. Borman and every other astronaut wished that Apollo had the Gemini program’s four-axis system, which was not subject to this quirk of physics. 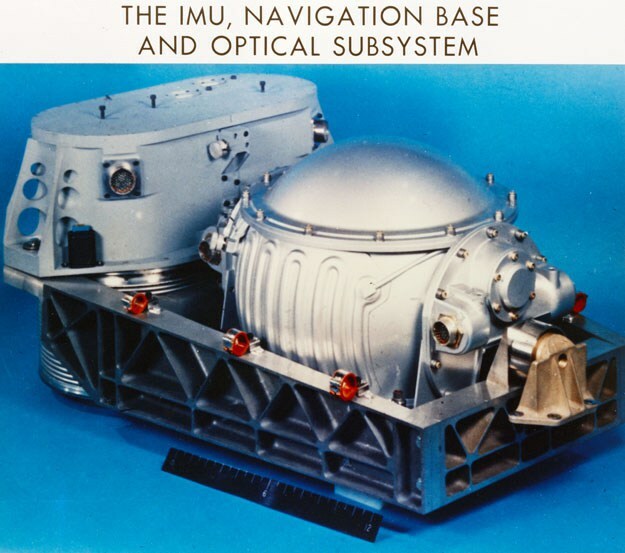 The three gyros themselves were in the basketball-sized IMU in the second photo; for precision matching of measurements, it was mounted out of sight but on the same platform as the optical sighting telescope and sextant to the left. One of the early mission rules for Apollo 8 was that the IMU was to be shut off when it wasn’t needed – which was most of the mission – but Borman objected to this. He knew that, on power-up, the thing sometimes accidentally got itself into a gimbal lock condition, plus he didn’t want to take the chance of it not coming back on at all, so he wanted to keep the gyros spun up for the entire mission. He got his wish, and the rule was changed for all the Apollo missions. 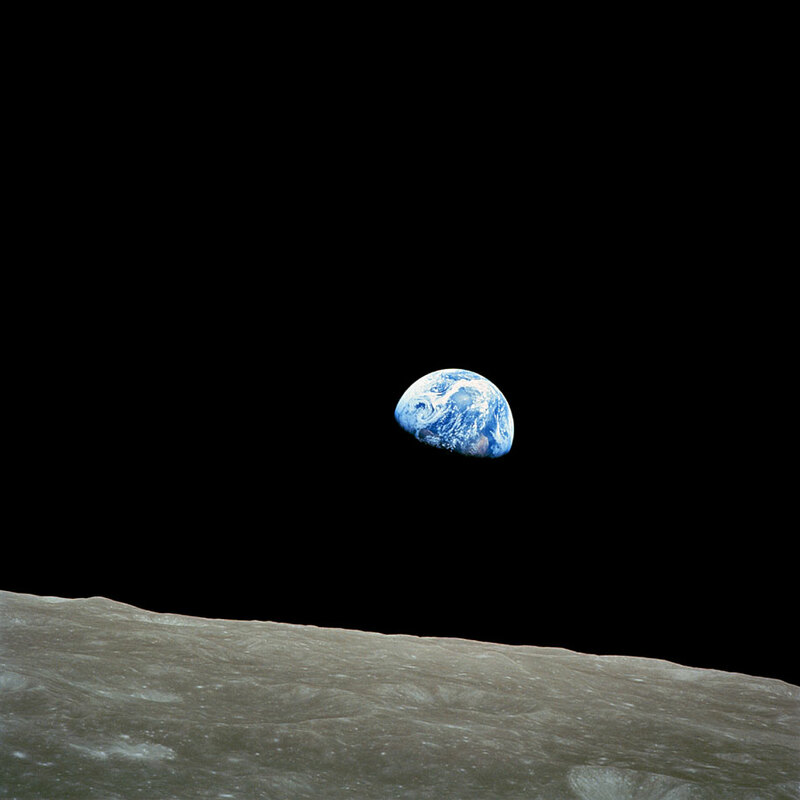 This entry was posted in Apollo and tagged Apollo 8, Frank Borman.